One thing I have always enjoyed doing since I was a little girl is coloring. We traveled a lot between Florida and Ohio so I would color to pass the time. As an adult I find it to be a relaxing and way for me to escape stress. I have a couple ways I escape stress while at home coloring and through listening to music. Mr. Anderson can usually pick up on my mood when he comes home or gets in my van by the style of music I have playing. 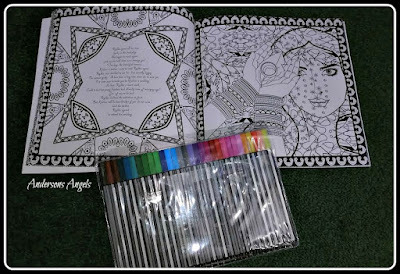 When I offered the chance to review Amrita Sen Cosmic and Eternal Love Coloring Book I was excited to say the least. 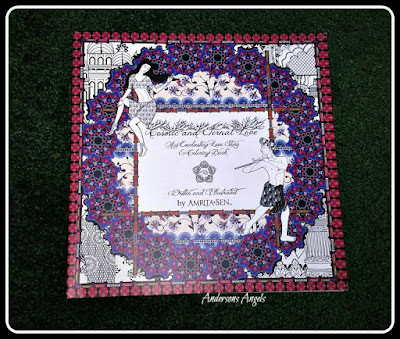 This is a very beautifully made adult coloring book. 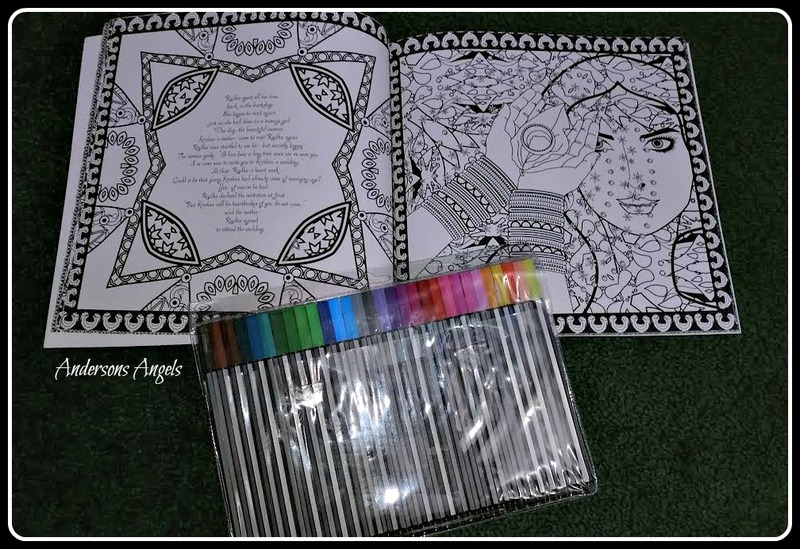 It also has accompanying music that you can download to go along with your coloring book. This coloring book takes you through a classic Hindu tale via written word alongside beautiful black and white drawings that illustrate this universal love story. The soundtrack that goes along with this book features original songs by Amrita Sen. Each song uniquely expresses the emotions and sentiments revealed throughout each 2-page spread of the coloring book. I have not yet downloaded the accompanying music for this book but plan to here in the future. I love the detail of the drawings and the story in this book. They are both beautifully done and the pages are fun to color. If you like to color and love a great love story then I would recommend picking up this wonderful coloring book for your collection. It would also make a great for someone that loves to color as well. I am excited to be giving away 3 copies of this wonderful book! I am also leaving a link where you can go and download the accompanying music to this book. I love coloring.None of my books has music.This would be great to have. these are great coloring books. My DIL really likes these. This looks like a beautiful coloring book. My daughters both love coloring.